WOW! Does this make a statement, or what? Bold and beautiful, this Peony is an explosion of color that demands attention. 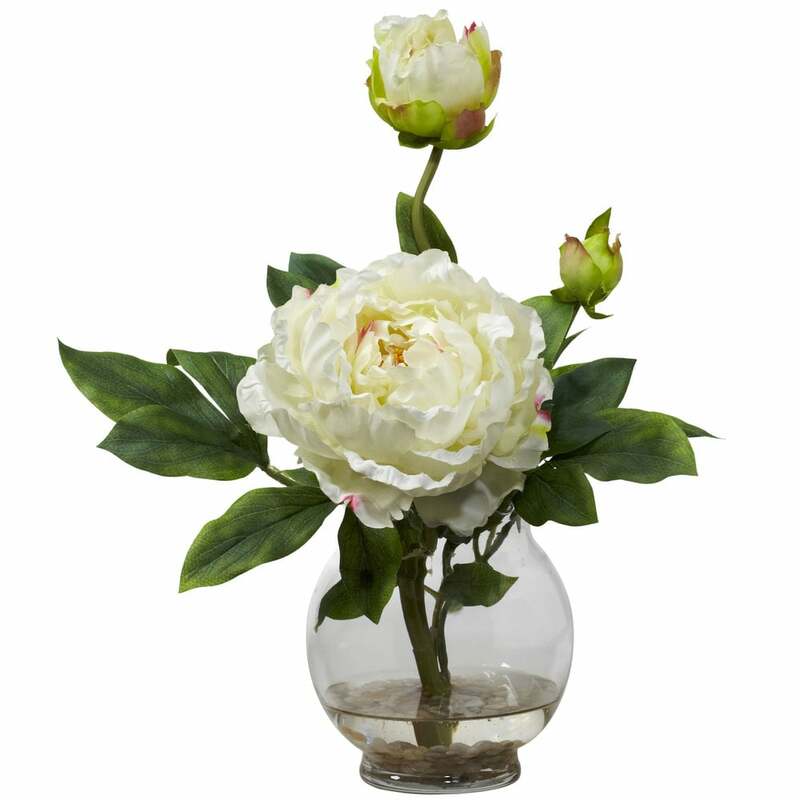 With its large center bloom surrounded by lush greenery, it draws the eye and doesn’t let go. Complete with smaller blooms that say “me too”, this is the perfect adornment for a desk, library, or anywhere else you want to liven up. Comes complete with a fluted bowl and faux water. Makes a perfect gift as well.